With the first notes of the first overture at the Royal Opera House I got introduced to many new forms of drama. 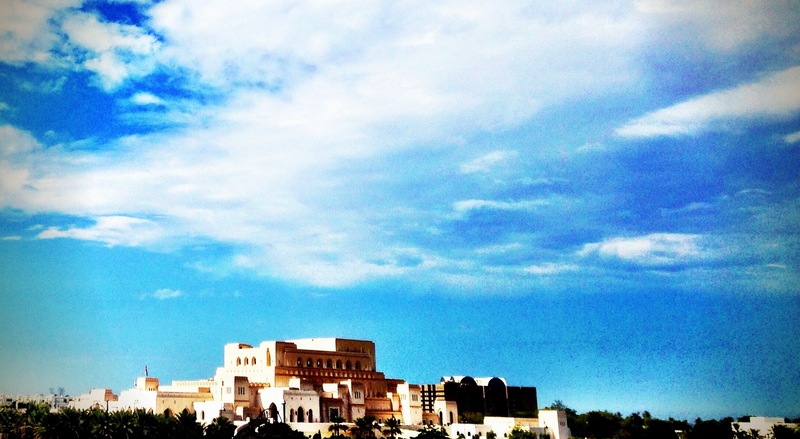 Possibly inconceivable once, but today, the ROHM is part of Muscat mundane. Heroes are born, villains vanquished and romance celebrated. All part of a season ticket. Fun. Beautiful. Entertaining. Lively. Energising. Different. 23 Nov	This entry was published on November 23, 2013 at 9:36 am. It’s filed under Have Phone will Photo, Middle East, Oman, The Yeah Way and tagged drama, Muscat, opera, operahouse, rohm, royal, stereotype, theatre. Bookmark the permalink. Follow any comments here with the RSS feed for this post. Reblogged this on ¡¡¡ MÚSICA PARA TODOS !! !.